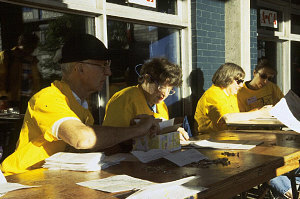 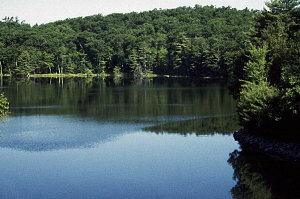 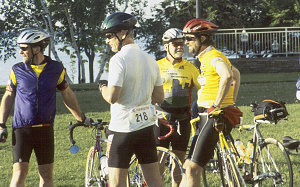 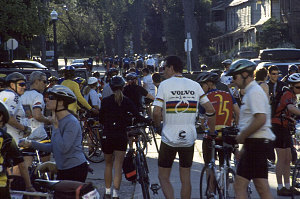 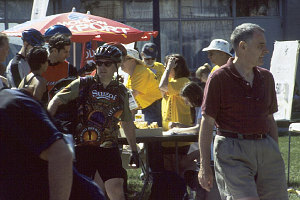 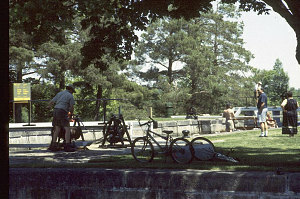 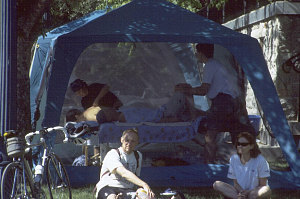 This image gallery documents my and Lorraine's participation in the 2001 Rideau Lakes Cycle Tour. 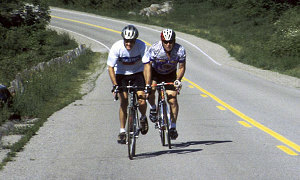 This is a two-day (Sturday and Sunday) cycle ride from Ottawa to Kingston and back, a total of approximately 360 km. 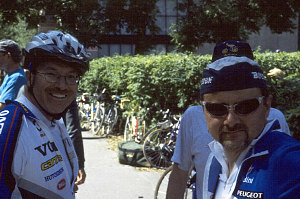 Lorraine and I rented a tandem (not a very good one either) to do the ride. 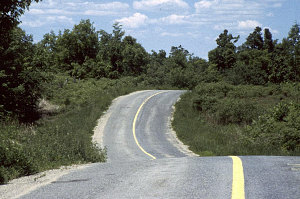 We took what is called the cruise route. 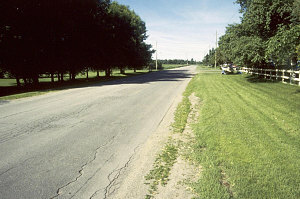 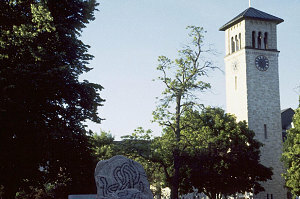 This route follows a more southerly path, through Manotick and a number of small quaint towns on its way to Kingston. 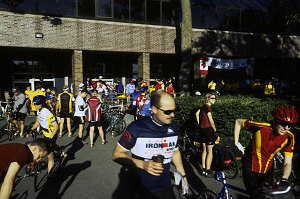 The cruise route is also unsupported, meaning there are no water or food stations along the way.